Prom is the most prominent formal event for every junior and senior! High school juniors and seniors across our Island are getting ready for prom season. 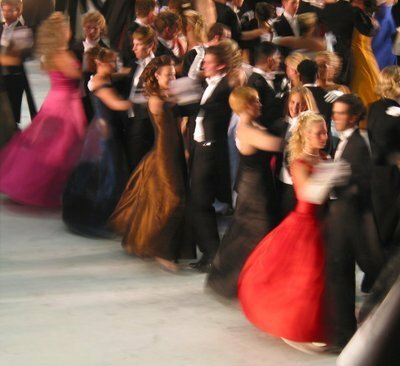 It’s the most prominent formal event for any high school, and probably the only opportunity of the year where teenagers can wear ball gowns and tuxedoes. Some students worry all night about where to go to college, how big a tuition debt to run up, and others are just getting ready for a night to remember. For the ladies, months can be spent searching for the perfect dress, only to find it and then need the perfect shoes and matching accessories. Deciding on a hairstyle is next, followed by makeup, manicures and pedicures. The popular trend is for men's vest/cummerbund and tie combo to match his date's dress. This serves as a way for a couple to look and feel like a matching set. The sentiment is visually and emotionally appealing to most prom couples. Social media has been instrumental in keeping prom attendess from wearing the same dresses. The groups have been popping up online, with girls calling dibs on dresses. They find a dress online and post a picture, along with a link and all the details about the dress. Two girls showing up in the same dress can be a total high school nightmare. We'd love to hear about your prom preparations on LongIsland.com Forum. Subject: LongIsland.com - Your Name sent you Article details of "Springing into the 2013 Prom Season"